We haven't done a Fabergé egg pendant for a while, so here comes another one. It was made by workmaster Henrik Wigström, sometime between the years 1903 and 1917! 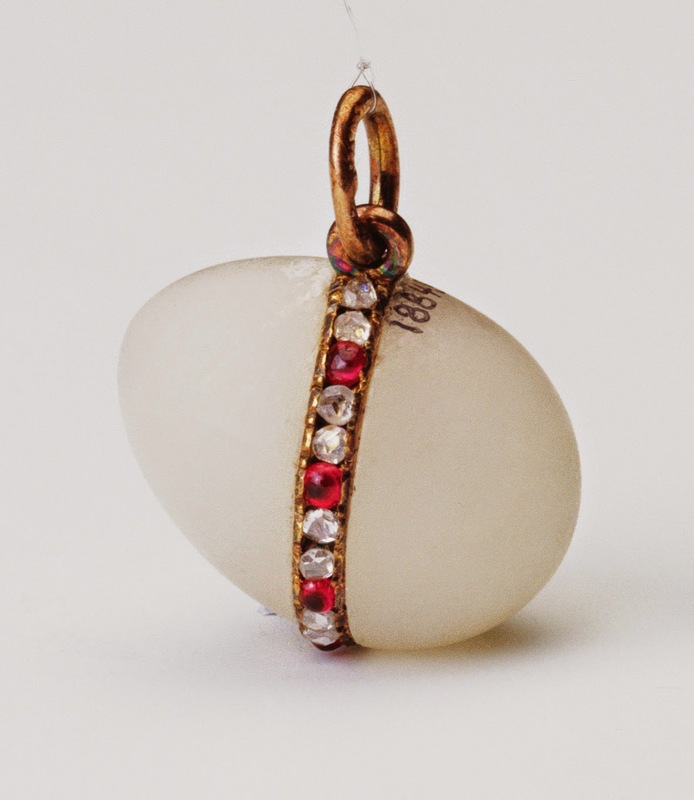 This little egg - that actually looks like a real egg - is made of white quartzite. Around the egg sits a gold band set with rubies and rose-cut diamonds. The dimensions of the egg are 0.7'' x 0.6'' (1.9 x 1.5 cm), and it was probably acquired by Queen Alexandra. Since 1953 it has been part of the Royal Collection.